and the 3 ravens band. 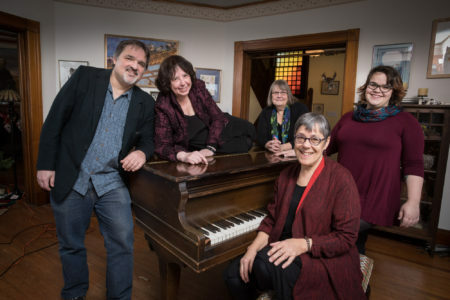 Max Cohen, Jane Yolen, Donna Hébert, Lui Collins, Molly Hebert-Wilson, cast and creators of “The Infinite Dark.” Show CD due for Summer 2017 release. (Paul Shoul photo).